Lights, Camera, Action! These projects are perfect for the red carpet. 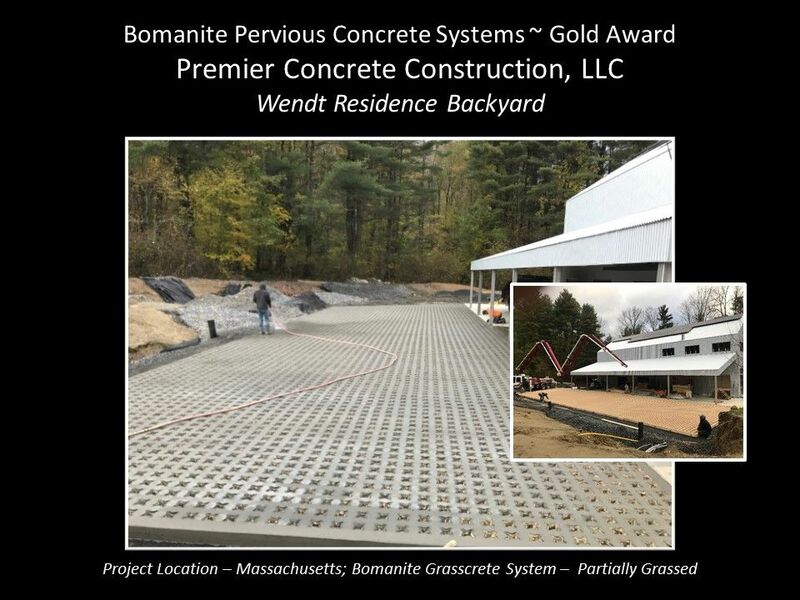 Bomanite proudly presents the Annual Decorative Concrete Project Award winners! At the Bomanite Annual Conference held in Denver, CO, in March of this year, the announcements were made at the Annual Banquet Dinner. 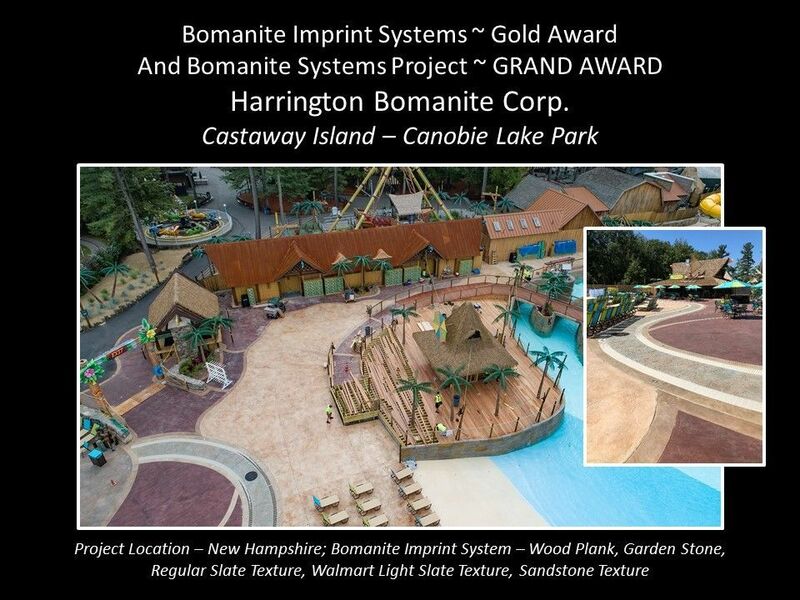 Bomanite Licensee Harrington Bomanite Corp. located in Massachusetts received the Bomanite Outstanding Project Grand Award as well as the Best Imprint Systems Gold Award for their winning ideas at the Castaway Island – Canobie Lake Park. The Tidal River project addition of 45,000 sq. ft. was completed with the Bomanite Imprint Systems with over 9 color hardeners, 4 Release Agents and 4 different patterns. The detail and work showcased vast talent and design to be able to incorporate a drainage system in the 2 plus acre site that satisfied state and local environmental concerns. The meandering brook concept of stamped concrete stole the show. Bomel Construction Company Inc. located in Irvine, California stepped away with the Best Exposed Aggregate Gold project for their work on the Banc of California LAFC Stadium. The exterior hardscape incorporated the Bomanite Sandscape® Texture and Bomanite Alloy systems along with a sculpted honeycomb seating element. Even with a demanding schedule the project was delivered on time. The project involved 1,600 linear feet of walls, 3,500 linear feet of curb, and pouring an estimated 5,000 cubic yards of concrete. 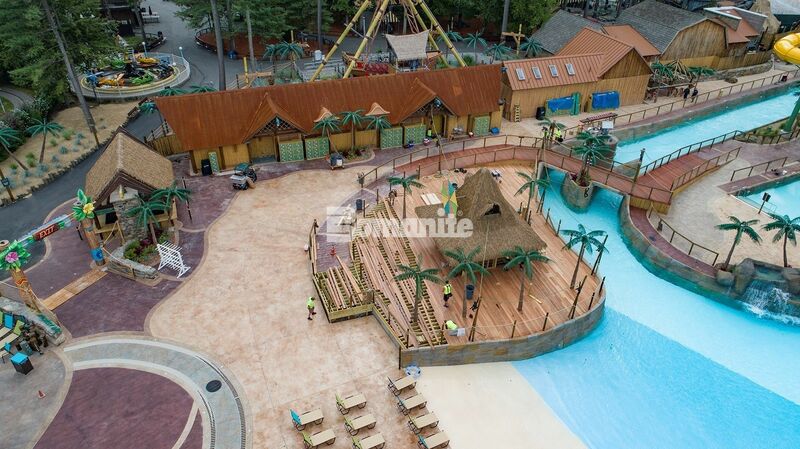 In all, over 150,000 sq ft of hardscape was installed. Bomanite Licensee, Colorado Hardscapes, located in Denver, CO, was awarded the Gold Award for the Best Toppings Project for their work at the Coloradan. Breaking the mold of a traditional planter and seat wall surface, Bomanite Micro-Top ST delivered a sand-finished surface that accomplished the original architectural intent. 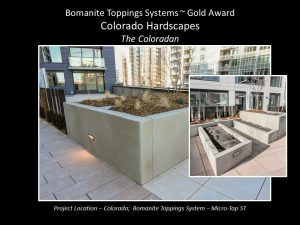 Because of time constraints of the project, Colorado Hardscapes was able to deliver Bomanite products to help the client think outside-the-box with solutions that met their needs and exceeded their expectations. 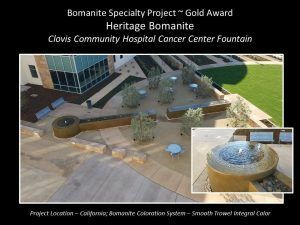 Heritage Bomanite, located in Fresno, California, received the Gold Award for the Best Specialty Project. The Integral Color, the amount of detail, and the outstanding workmanship make this project a work of art. 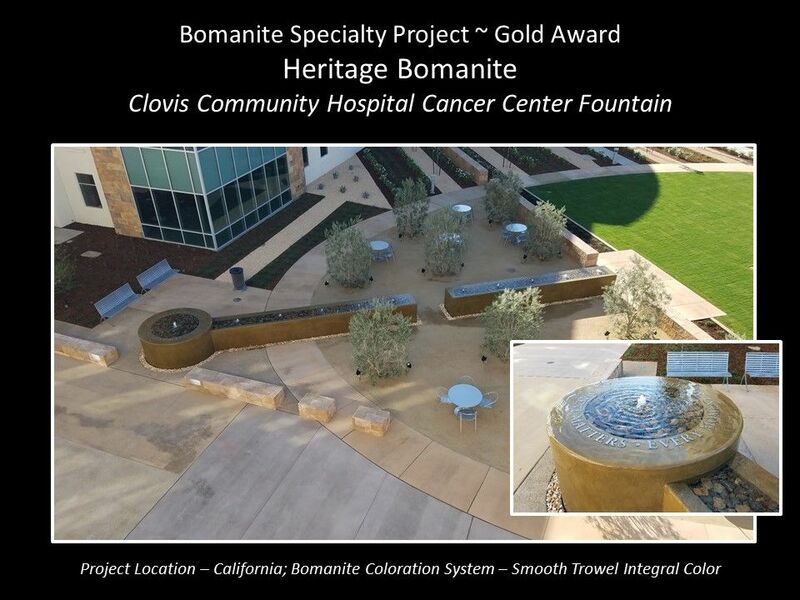 The grand display of the Clovis Community Hospital Cancer Center Fountain with cascading and bubbling water provides a space of serenity for patients and their visiting family members. Premier Concrete Construction, Bomanite Licensee located in New Hampshire grabbed a Gold Award for the Best Grasscrete Project. Their work on the Wendt Residence showcases the sustainability and strength that can be used with the Pervious Concrete System incorporating a backyard area that that can accommodate large delivery vehicles for the Artist/Musicians studio and most important storm water management. Additional awards were given for Silver, Bronze and Honorable Mention in various categories, To view all the winners and their amazing projects, please click here. 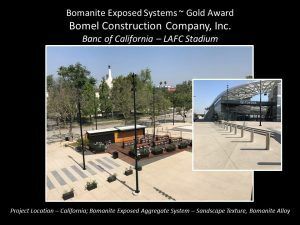 Bomanite would like to thank all the Bomanite Licensed Contractors who submitted entries for this year’s award contest. The Bomanite Decorative Concrete Annual Project Awards has been a tradition for more than 50 years for Bomanite Licensed Contractors to submit their outstanding projects for the year. Bomanite Licensees compete among the best of the best to be recognized for their hard work and creative talents. The winners are announced at the Bomanite Annual Conference, held in various cities from year to year. This is a taste of artwork and craftsmanship in the decorative concrete market that can be achieved by the Bomanite network of decorative concrete craftsmen. Please take a look at the award-winning projects.